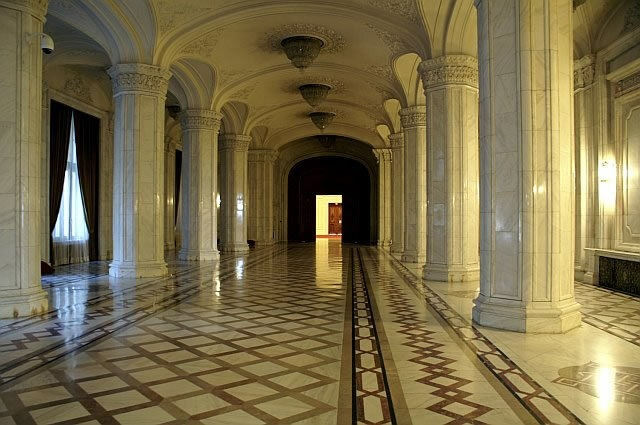 The Parliament Palace is an unwavering, oppressive, white symbol of the communist era in Romania. It doesn’t represent neither purity nor grace, but a giant white display building which celebrates the era of tyranny in Romania. In order for this construction to be built, there were over 7 square kilometres of the old centre demolished and an artificial hill created. 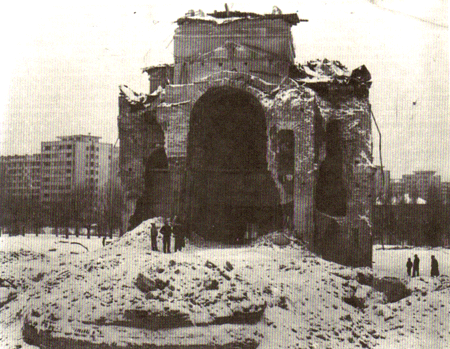 Ceausescu came through with The Futurists’ idea that there is no need or time for God/Gods or religion and initiated the destruction of some of Bucharest‘s churches and monasteries. Vacaresti monastery was one of the most valuable historical monuments from Bucharest and also the biggest monastery in the South-East Europe. 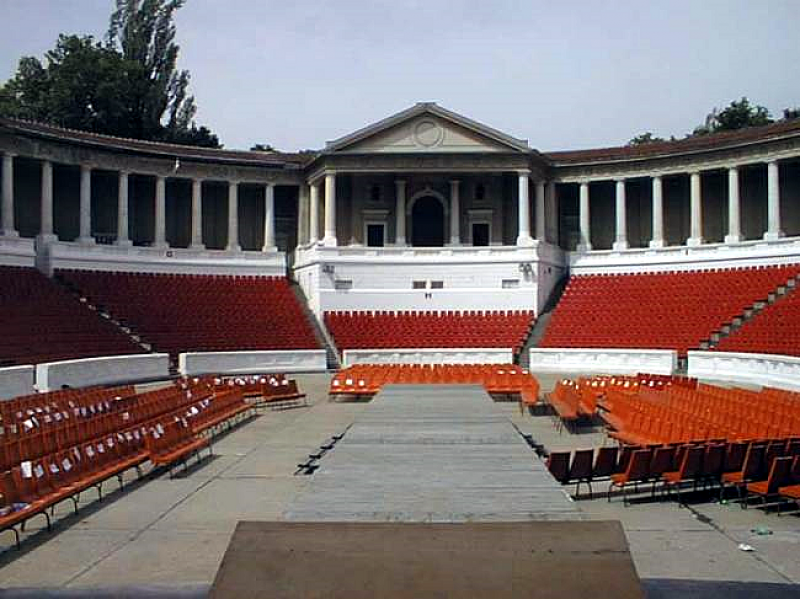 It was an architectural masterpiece and it was used as royal court, cultural center, school and prison. On 2nd December 1984 Ceausescu visited the monastery ordering the demolition of the whole compound, under the pretext that on that place will be build the new Palace of Justice. 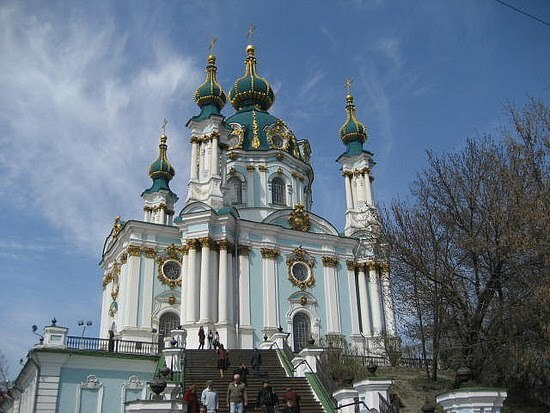 The monastery was demolished in 1987, but the palace was never built in that place. Churches were moved away and then enclosed by blocks so that they wouldn’t be seen. The “New Man” of Romania should not waste time praying to God; He had to celebrate the speed, machinery, youth and industry as per The Futurists’ manifesto. The chief-architect of the construction was a young woman, Anca Petrescu, of only 28 years old, but the one in control of everything was actually, Nicolae Ceausescu. Initially, the project presumed 7000 real-estates to be destroyed, but as the plan was chaotically evolving because of the “Prime-architect” of Romania, Ceausescu, the number of the buildings demolished raised to 9000. Anyone was able to understand the plans, apart from Nicolae Ceausescu and his wife, Elena. What the constructors build one day, they would tear it down the next day and completely change and rebuild the day after. There is not one imported item in the whole palace. If they needed a material that was only produced abroad, Ceausescu would give orders so that a factory would be built to produce it in Romania. He was very adamant that he didn’t want any imports to be used in his palace. 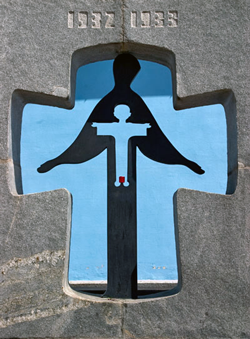 “The moral white” (Ripolin) of the building was adapted to Le Corbusier’s beliefs, even though Le Corbusier didn’t intend his ideas about a better tomorrow to be extended in such an extreme way by the totalitarian states. He saw white as a colour of clearness, innocence and virtue, but also as a sign which marks the transition from the old world to a new world. Romania was stepping into a new world and this was marked through the construction of “The House of People”. The huge, white governmental building can be seen from any location in Bucharest and this has a huge impact on the way the citizens behave. The semiotics of its massive scale (power) and its design (order) give the Romanians various sensations making them unconsciously behave in a different way. The cold, sterile, austere and completely unwelcoming whiteness of the building was accomplished by using one million cubic metres of marble. The marble used is also white and obviously it wasn’t decided to be like that for no reason. The marble had to be white and there had to exist columns, because of their association with the great qualities of the Ancient Greek civilisation. For the ultimate note of elegance, the place was covered in crystal lamps and crystal chandeliers (one of them weights 2, 5 tons). The Parliament Palace also contains 2 anti-atomic shelters that Ceausescu built, a symbol of his prolific paranoia, at the basement of the Parliament Palace where he could snug in case of a tragic event. The chief-architect, Anca Petrescu, also relates about some secret roads that led to the metro. The army made these secret roads completely hidden to the public eyes when the construction started. According to Anca Petrescu, the construction is not finished even today as the underground plans are still not complete. However, this wasn’t an impediment for Ceausescu to inaugurate the building, and the words he said when he did that still rules over the time: “What your father built in 7 years, you won’t be able to paint in 20”. The split of Czechoslovakia on January 1, 1993 was not entirely inevitable, as the political and economic costs of keeping the country together would have been extremely high. Mutual historical grievances. The Slovaks did not embrace the concept of Czechoslovakism, which was advocated by Czech leaders after 1918. Although many appreciated economic and educational assistance that the Czech lands offered during the first republic (and before), they were critical of the patronizing attitudes of many Czech leaders and the unwillingness of Czech political elites to grant Slovakia more autonomy. The Czechs, on the other hand, never forgot what they saw as a betrayal on part of Slovakia in 1939, when Slovakia formed a state of its own under Nazi protection. Later, the fact that after WWII the Slovaks did not show enough gratitude for not ending up on the list the defeated nations—because Slovakia was included in Czechoslovakia again—was also occasionally criticized. During the era of communism, many Czechs believed that the Czech lands were paying—through huge transfers—for the economic development of Slovakia. Many also did not see the creation of the Czechoslovak federation in 1968 favourably. Common wisdom had it that the Slovaks were punished much less after the invasion of Czechoslovakia in 1968 and that, in fact, Slovakia benefited from the invasion. The era of normalization was closely associated with Gustav Husak, a Slovak. A political asymmetry was created in the form of the Slovak Communist Party that had no counterpart in the Czech Republic. The Slovaks, on the other hand, complained of Pragocentrism, which did not diminish even during the communist era. The asymmetrical nature of a two-state federation. A federation consisting of two states of unequal size would be a difficult concept even for highly developed democracies. The Federal Assembly, as created by the constitutional amendment of 1968, was set up in a way that was bound to produce serious problems once the country has regained democracy. The deficiencies of a two-state federation were suppressed by the centralized communist rule between 1968 and 1989. However, once the federal institutions were able to work in a politically free environment, they began producing problems. First, there was initially a serious lack of clarity with regard to the division of powers between institutions on the republican level and federal institutions. Second, the upper house of the Federal Assembly—the House of Nations—could in effect block meaningful reforms. The growing inability of the Federal Assembly to pass necessary federal laws was perhaps the most visible symbol of a growing decision-making paralysis. At the same time, power was gradually shifting from the federal government to the republican governments. The authority of the country’s president was also gradually shrinking. Incompatible political spectrums after the 1992 elections. Soon after the fall of communism—certainly after the June 1990 elections—it became obvious that the two republics were developing different political spectrums. Slovakia’s spectrum was shifted more to the left, and Slovak political parties accentuated more openly national demands or even an outright nationalist agenda. While in the Czech Republic the Communist Party did not reform itself, and the Social Democratic Party was newly (re)created from below, the Slovak democratic left was represented by the reformed Communist Party. In the 1992 elections, political parties that described themselves as center-right prevailed in the Czech Republic, while leftist and nationalist parties were the winners in Slovakia. It became virtually impossible to create a functioning federal government. Czech and Slovak nationalism. Although much has been said and written about Slovak nationalism, there was also a version of Czech nationalism. 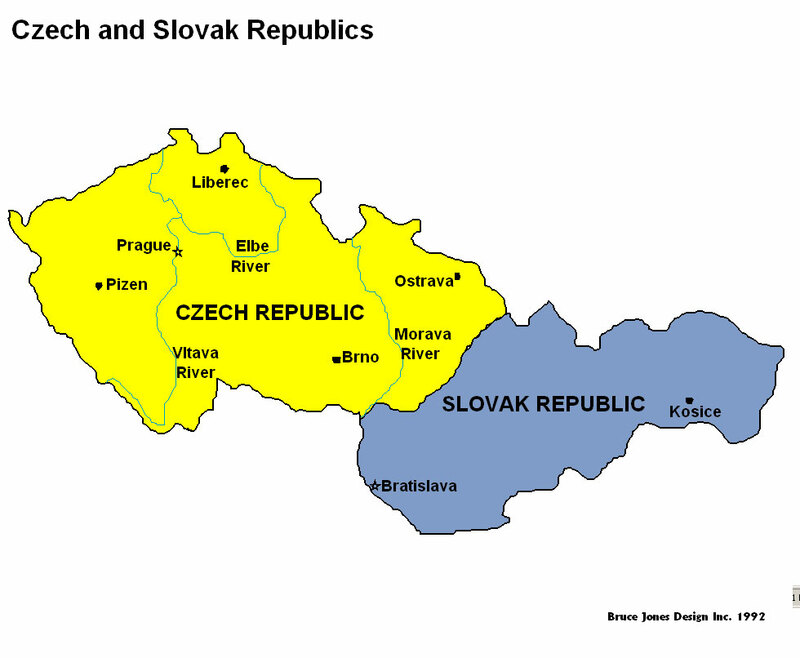 The Czechs seemed to identify much more than the Slovaks with the idea of Czechoslovakia, but it can be argued that Czechoslovakia was more acceptable for them, among other reasons, because the Czechs had a privileged position in the two-state federation, in which the other nation was half the size of the Czech nation. While Slovak nationalism was active—an expression of nation-building in a country that had not had the kind of historical experience with its own statehood that the Czechs had, Czech nationalism was defensive. In other words, while no significant Czech political parties actively strove for independence or greater autonomy, many Czech politicians were intellectually invested in the idea of Czechoslovakia in which the Czechs—by definition—are the more senior nation. Some Czech politicians also believed that Slovakia is an economic burden for the Czechs. This version of Czech nationalism was based on the belief that the Czechs are superior—more advanced, more urbanized, and therefore, better equipped to cope with market reforms. Both Czech politicians and the public did not abandon the traditional Czech paternalism in attitudes toward Slovakia after 1989. Some Slovak demands—for example, modifications in the name of the country—were ridiculed by the Czech media and understood as petty by Czech politicians, who did not appreciate the symbolism of such steps for the Slovaks. Some of the most important Czech politicians, including President Vaclav Havel, did not read the situation in Slovakia well, partly owing to the fact that they, as former dissidents, maintained contacts mainly with their dissident counterparts, who were predominantly pro-federalist. The lack of democratic experience in both countries. Perhaps the growing Czech-Slovak rift could have been solved by giving the Slovaks more autonomy, or by transforming the federation into a confederation. The Belgian or the Canadian models of coexistence (however imperfect) of two nations within one state could have been used, but problems in the Czech-Slovak relations took place at a time when there were many other pressing tasks to solve. Also, Czech and Slovak politicians were only learning the basics of democracy. Hence, there was a natural proclivity on both sides to accelerate the process. Democratic solutions were not explored to the utmost. In the end, the dissolution of Czechoslovakia was a success in terms of the mechanisms and procedures used. It was a peaceful, negotiated process that did not produce any of the upheavals and bloody conflicts we witnessed in the former Yugoslavia or some parts of the Soviet Union. The main point of contention was (and will remain) the question of whether Czechoslovakia was to hold a referendum. It is possible today to argue that the decision not to hold a referendum was fortunate. First, in a country consisting of two nations of unequal size, one referendum, on a federal level only, would not work. Holding two referendums, one in each republic, was also problematic, as no one seemed to know what would happen if one republic voted in favor of the country’s split and another would be against it. There were also very different ideas about what kind of common state Czechoslovakia should be if it survived. Public opinion and politicians were divided: some people supported the idea of a federation, some campaigned for a confederation, and others even advocated the renewal of a unitary state. There were also proposals to turn Czechoslovakia into a three-state federation, consisting of Bohemia, Moravia-Silesia, and Slovakia. 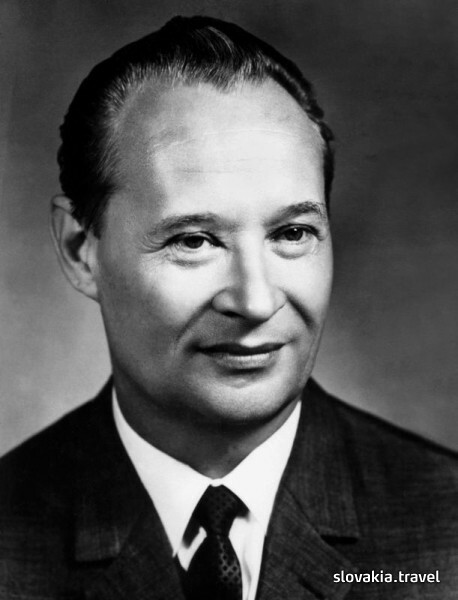 In January 1968, Alexander Dubcek comes to power when he was elected as the First Secretary of Communist Party of Czechoslovakia. Alexander Dubcek tried to liberalise the country’s communist regime by introducing free speech and freedom of assembly. Dubcek wanted to democratise the nation and lessen the stranglehold Moscow had on the nation’s affair. The Prague Spring of 1968 is a term used during the brief period of time when Alexander Dubcek led the government of Czechoslovakia. The Prague Spring ended with a Soviet Invasion, the removal of Alexander Dubcek as party leader and an end to reform within Czechoslovakia. 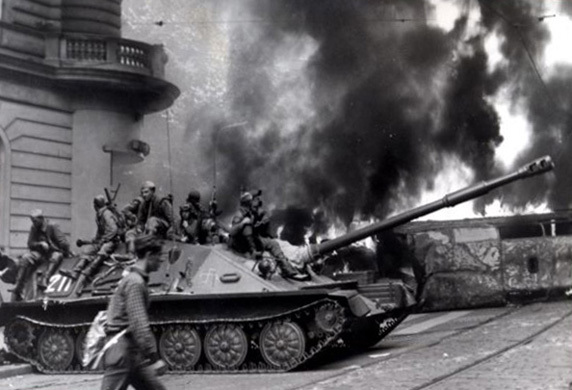 The Soviet Union and all members of the Warsaw Pact except Romania intruded Czechoslovakia to halt reforms. Over 100 people were killed and the Communist leaders, including Alexander Dubcek were arrested and taken to Moscow. Alexander Dubcek attempt to grant additional rights to the citizens (less restriction on the media, speech and travel) through the Prague Spring reform. The Prague Spring reform also caused the country to be divided into a federation of three republics, Bohemia, Moravia-Silesia and Slovakia, where Dubcek oversaw the decision to split it into two, the Czech Republic and Slovak Republic. The split was the only change that survived the end of Prague Spring.